Can I cancel my plan at anytime? 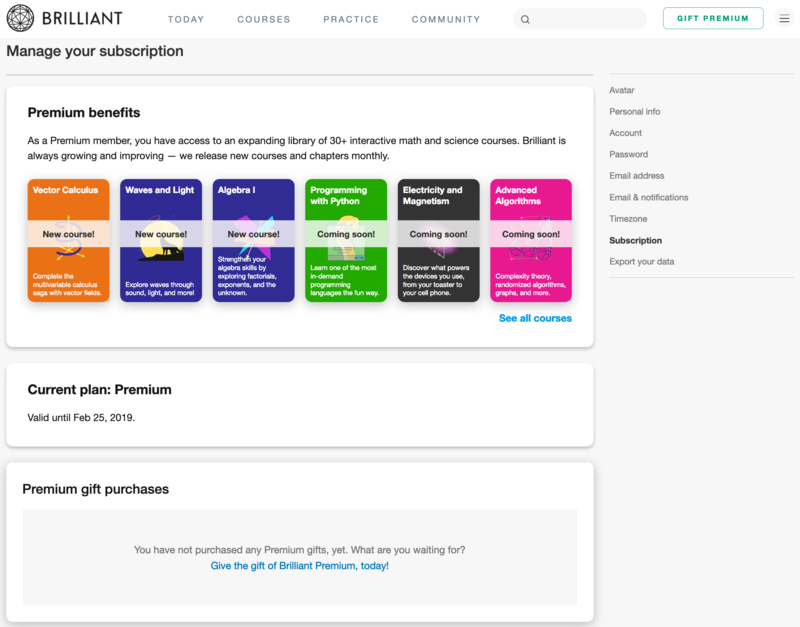 When you cancel your account, you'll be able to use Brilliant Premium until your current paid-for period is complete. You can also re-start auto-renewal at any time.